Koenigsegg doesn’t really need to break any more records to remain in the minds of a few impressionable young speed freaks, as the Swedish sports car maker’s very name brings to mind ridiculous feats of acceleration and outright speed. But the specialty car maker has done just that, having now received recognition from Guinness World Records for its 0-300-0-km/h run of 21.19 seconds, recorded in a Koenigsegg Agera R on September 2. If the metric system is like a foreign language to you, we’ll spare you the trouble of breaking out the calculator. That’s zero to 186 mph and back to zero in the same time it takes you to put on your shoes. The record was captured at Koenigsegg’s proving ground in Ängelholm, Sweden this past September. 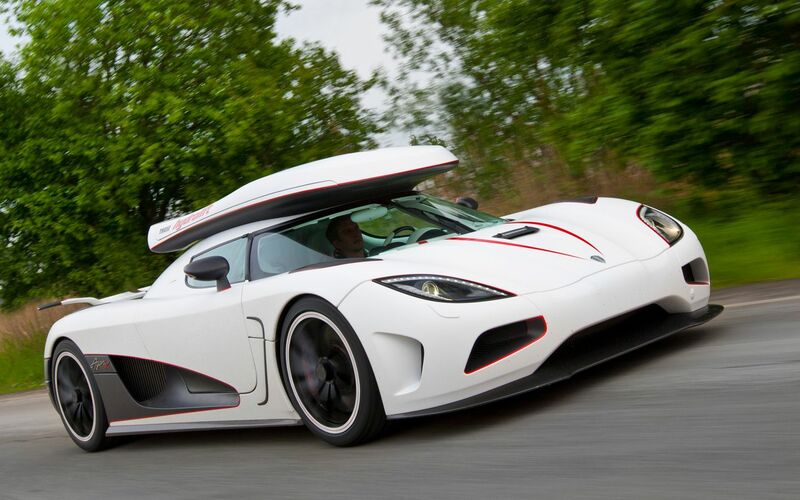 This achievement makes the Agera R the fastest two-seater production car to complete the 0-300-0-km/h dash. The sports car maker was hoping to capture several other records that day, though those attempts have yet to be recognized by Guinness World Records. Still, accelerating to nearly 200 mph from a dead stop and braking to a halt again in 21.19 seconds is something to brag about. And brag about it, Koenigsegg does. Driving the car was young racer and test driver Robert Serwanski, whose record-breaking run was captured on camera. If you want to get an idea of what dropping out of warp speed might look like, check out the video below.